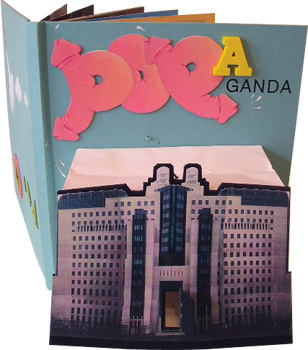 The Popaganda pop-up book was completed in 1996. It was one piece in a body of work that used satire and illustrated motifs to critique the ascendant global corporate power in a spirit that is now commonly understood as 'detournement'. The book was intentionally produced as only one copy.